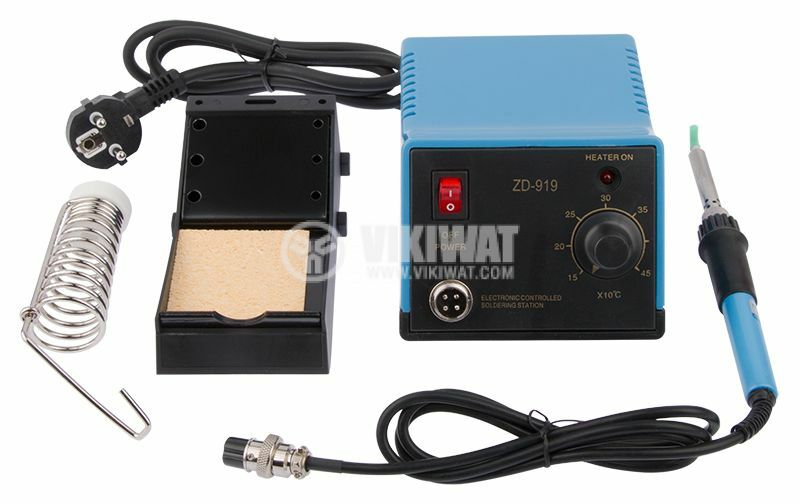 Soldering station pen-like style ZD-919 with temperature range 150 °C to 450 °C and power 48 W.
The soldering station is intended for repair of mobile phones and PCBs, SMD - assembly and disassembly. 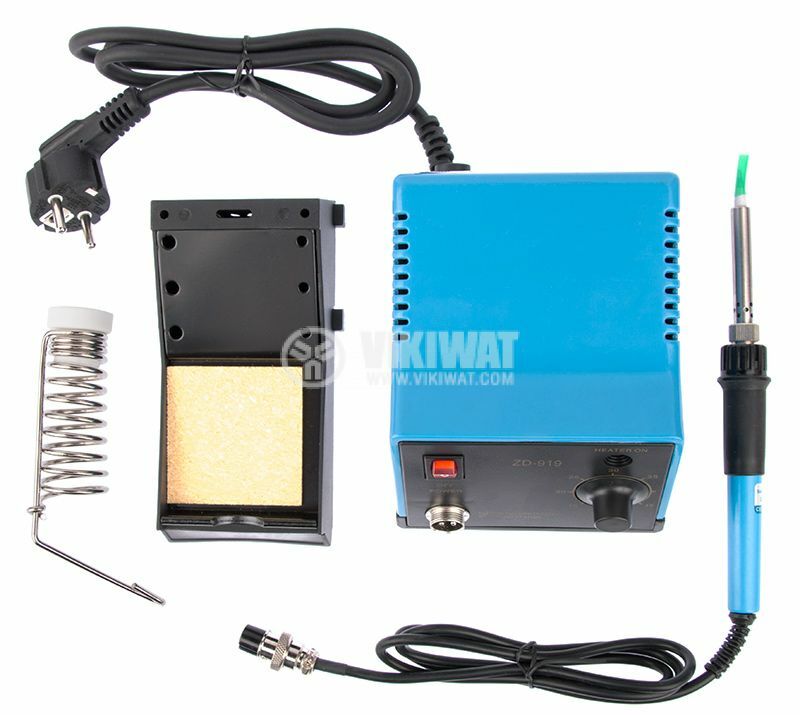 It has a precision electronic temperature control that allows you to set the required temperature for the perfect soldering or desoldering without need of replacing the tip or heater. 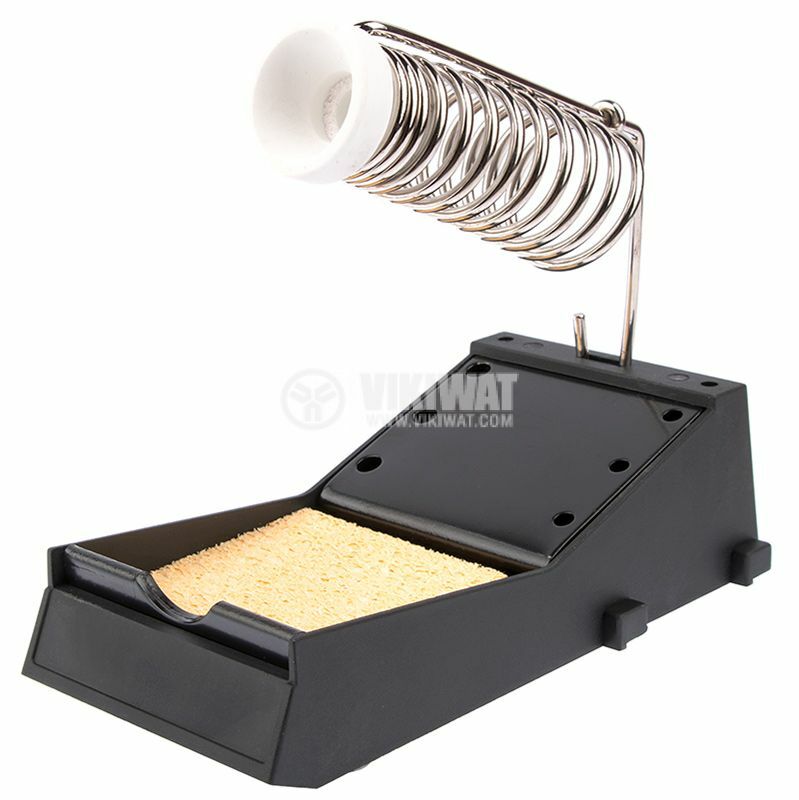 The tip is iron-plated and may have long lifetime if used properly. solder dimensions - Ф20 x 200 mm. 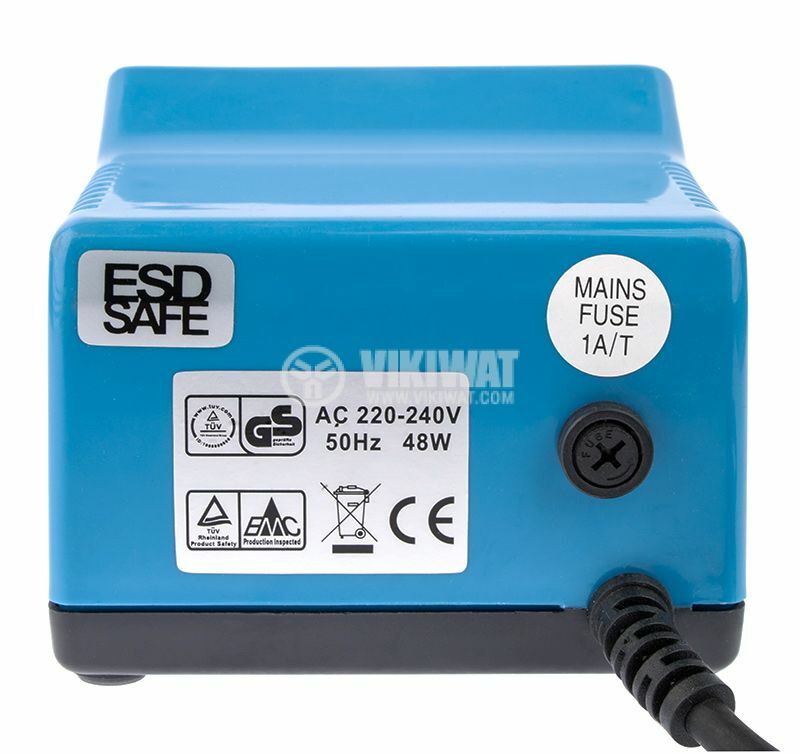 Temperature control, LED indication, ON / OFF mains switch.